When I was studying Chinese at university I used to watch a fair number of Chinese TV shows, with the aim of improving my spoken Chinese and listening ability. It can be a pretty light-hearted way to keep the language going, even when you can’t face a full page of Chinese characters, or if you’re feeling tired and you’re not in the right frame of mind to practise speaking. When you first start watching Chinese TV shows, you may not be able to understand a lot, but it will give you exposure to a broader range of vocabulary and slang, and it will also give you a better idea of the way native speakers speak, so you can start picking up more natural speech patterns than the ones taught in textbooks. It will also help you to understand Chinese popular culture. As difficult as it may seem to understand Chinese TV programmes, there are a couple of things in your favour. 1. 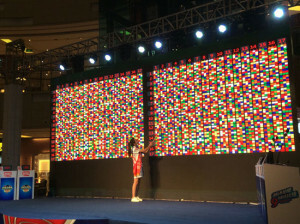 The main presenters will generally speak with standard Mandarin pronunciation, because to become a TV presenter in mainland China you have to pass a Mandarin language test where you get marks taken off for every syllable you say wrongly (I know, it sounds crazy). This is good for the learner, because you’ll be picking up good pronunciation. 2. Except for live shows, Chinese TV almost always has subtitles for everything, so if you are learning to read and write at the same time then it will give you a bit of a ‘safety net’ so you can understand more of what you hear. I relied on this a lot at the beginning. Even if you haven’t been learning Chinese long and you can’t really understand much, you will still be able to watch some of the simpler and more visual shows. Here’s my list of some of the best entertainment TV shows you can watch to learn Chinese, representing a good range of different types of programmes across China and Taiwan. I’m only including TV programmes in this list, not series or soaps. I’ll have to save them for another post. I’ve put some of the easier shows to understand closer to the top. Back when I first started learning Chinese, it used to be pretty difficult to find a lot of the TV shows online, but now it is much easier. You can find many of the shows on Youtube if you just copy and paste the Chinese into a Youtube search. Otherwise you can try the Chinese video site Youku. Some of the content on Youku may be restricted by geographical location to China only, but if you’re using the web browser Google Chrome, one great tip is to install the browser extension Unblock Youku, which should open up the content to you. I believe the format of this show came from South Korea. A group of dads separate from their partners for a period of time and go travelling with their young sons or daughters, and take part in a range of challenges and competitions. The most interesting part of the show is the way the dads improve their relationship with their children. If you think Chinese kids are cute this is the show for you, plus most of the dialogue from the children is fairly simple for beginners to understand. I’m going to put the singing shows close to the top as well, as the language in them is much more predicable, and the songs can be slower and easier to understand. The difference between this show and others is that it features singers who are already stars, not hopefuls. Most of them are getting on in their careers or are young stars looking for a boost. 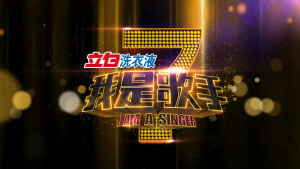 They don’t just sing their own songs each week, but also songs from other singers, and one person is voted off each time. 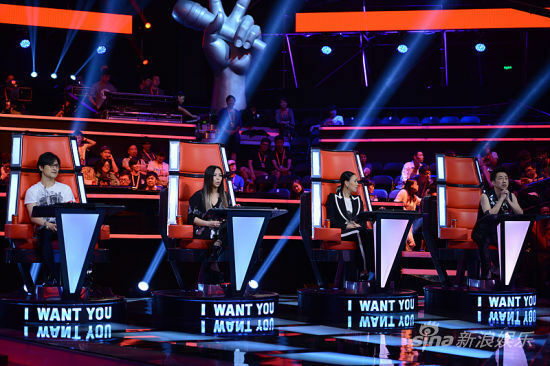 It seems like there is a ‘voice’ show in most countries these days. 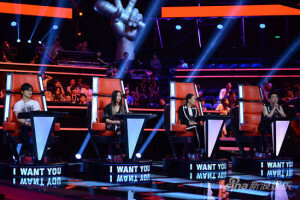 A panel of four famous singers judge candidates with their backs turned, and only by hitting the ‘I want you’ button do they get to turn around and see who they are listening to. The China show is actually surprisingly good, (they do a lot of selection rounds before you ever get on the TV), and besides the songs, you always get to hear the back story of the candidates, which can be good for language practice. 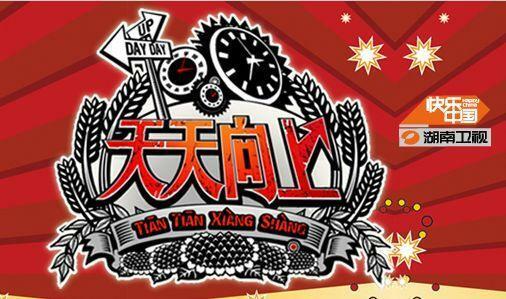 This is one of the most popular shows on the most popular TV network in China – Hunan TV. It’s been going almost 20 years, and it’s mainly casual chat plus games and challenges in front of a studio audience. They’ve generally got Chinese celebrities on who you might have never heard of, but it’s good harmless fun nonetheless. This show is another institution on the same channel as Happy Camp, except that it’s more of a talk show. Good for listening to general Chinese chat, although the conversations can be pretty fast and difficult to follow, so this one is more for intermediate or advanced learners. This is a kind of reality TV show where people with ‘incredible mental abilities’ from different countries come to be tested by a panel of judges. Expect to see people who can solve a Rubik’s cube underwater with their eyes closed, or memorize sets of 2D barcodes, and give the phone numbers contained in them. Most of the challenges are related to memorization, and you can pretty much figure out what is going on, even if you don’t know much Chinese. A dating show format that was bought from the UK, and has since been copied by all of the local Chinese TV stations, this original show is on Jiangsu TV, and has been going for years. Most of the shows feature a ‘panel’ of girls evaluating one ‘male VIP’ at a time, putting their lights out when they decide they are no longer interested in him. In some of the specials, they travel to different places around the world to find overseas Chinese who are still looking for a wife! The most interesting thing about this show is not that you can learn a lot of chat-up lines (although you can pick up some interesting vocabulary), but the range of guests that are on it. You get people from all across China and the Chinese speaking world, so expect to hear a complete range of different Mandarin accents, and stories from people in all kinds of different jobs. The show used to be much better, but it can still be an interesting insight into modern Chinese society, and attitudes in China to dating and relationships. Pretty similar to the ‘Got Talent’ shows in other countries. A good wide range of performances, and given that China has the population that it does, and there are several rounds of the competition before you get to go on the national show, the standard of the acts is pretty good! A Mandarin talk / interview show from Hong Kong-based Phoenix Television. The host Lu Yu is something of a Chinese Oprah, interviewing stars from spheres as diverse as music, entertainment, business and politics. If you are a more advanced Chinese learner you will be able to listen to interviews on a wide range of issues, and pick up a broad range of vocabulary. Lu Yu also speaks English and she’s interviewed some pretty big names in English as well. Another show from Phoenix TV that’s on a couple of times a week and features a guy called Dou Wentao. Dou is always entertaining, and has a strong northern Chinese accent. He’s something of a personality in himself. 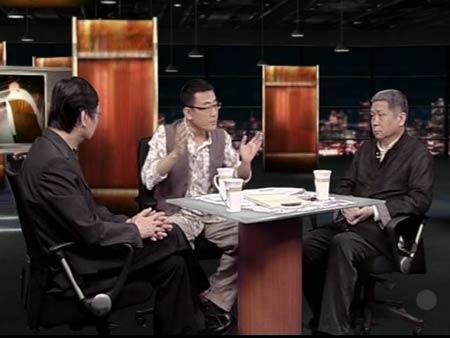 The show is a discussion / talk show with guests but with a current affairs focus. I used to watch it quite a bit when I was a student, and it’s a refreshing break from more ‘entertainment’ shows. I used to find this show pretty amusing. Not sure if it’s still on. University students or graduates come on the show to face a panel of ‘bosses.’ They introduce themselves, and then answer tough questions in the hope of winning a job offer. I wouldn’t really say that this is good practice for Chinese job interviews at all. It is, after all, an entertainment show. If anything, you might learn what not to say. Also, the host himself is highly amusing, for all the wrong reasons. 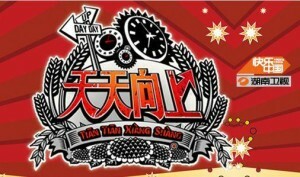 This is probably the most popular entertainment show in Taiwan. 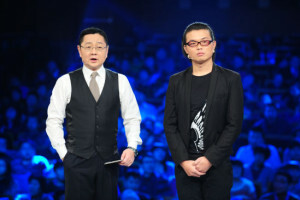 The name is a contraction of the names of the two hosts, Cai Kangyong (or Kevin Tsai) and Xu Xidi (or Xiao S). It’s mainly celebrity gossip and interviews, talk about fashion, musical performances and dance etc. I’ve never been a fan, but this show is so big that it deserves a mention. A Taiwanese entertainment show featuring students from different universities in Taiwan, talking about a range of light-hearted topics. A lot of the guests are female, and a lot of the topics are to do with relationships. Pretty people talking about not very serious topics = a very successful show. This last one is technically a documentary series, but it’s so worth watching that I want to give it a special mention in this list. It’s much higher calibre than most of the shows in this list. Beautifully shot, with a soothing voiceover, it’s an introduction to the finest of Chinese food right across the Chinese speaking world. 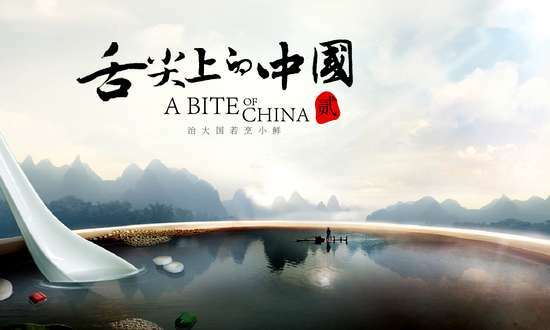 Food is a national pastime in China, and this show is not really aimed at an international audience, so you’re not going to see egg fried rice or a fried noodles here. Rather, you’ll discover a range of local specialities and delicacies, and it will make you seriously hungry! If you search online, you may well be able to find it with English subtitles as well, in which case you’ll just be able to sit back and watch the show. This is just a short list of some of the popular Chinese TV programmes that you might not know about. I hope you enjoy them, whatever your level of Chinese is.